Sip and savor your way through the menus of our innovative Honolulu restaurants in Waikiki Beach. Indulge in seafood to light tropical fare, our hotel restaurants specialize in locally sourced foods that celebrate the bounty of the land and sea. 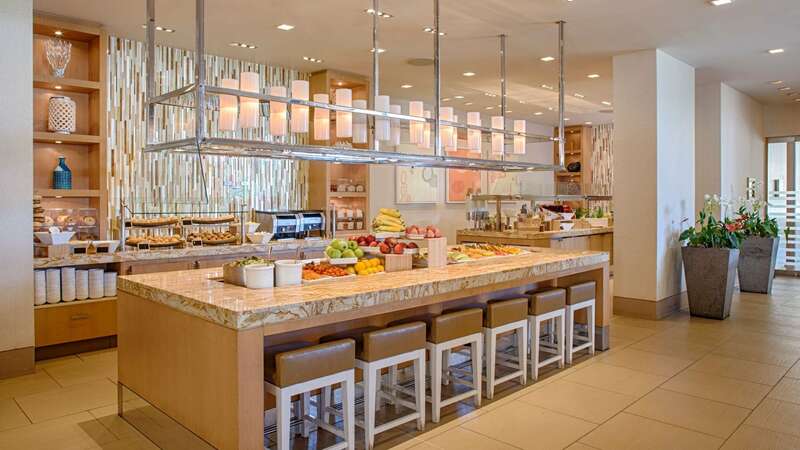 Special Buffet Menus are available at The Buffet at Hyatt for Mother's Day Brunch or Dinner, May 12th, with bottomless Mimosa & Bloody Mary bar. Brunch is from 11 AM - 2 PM with Dinner hours from 6PM - 9PM. Call the restaurant or plan your resevations online. 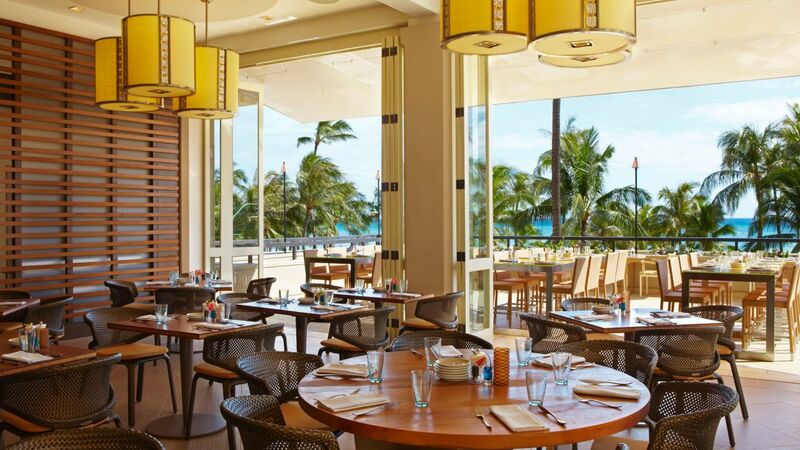 Savor every delicious second of a beautiful day in Waikiki while dining under Hawaiian sunny skies at SHOR, our breakfast buffet. 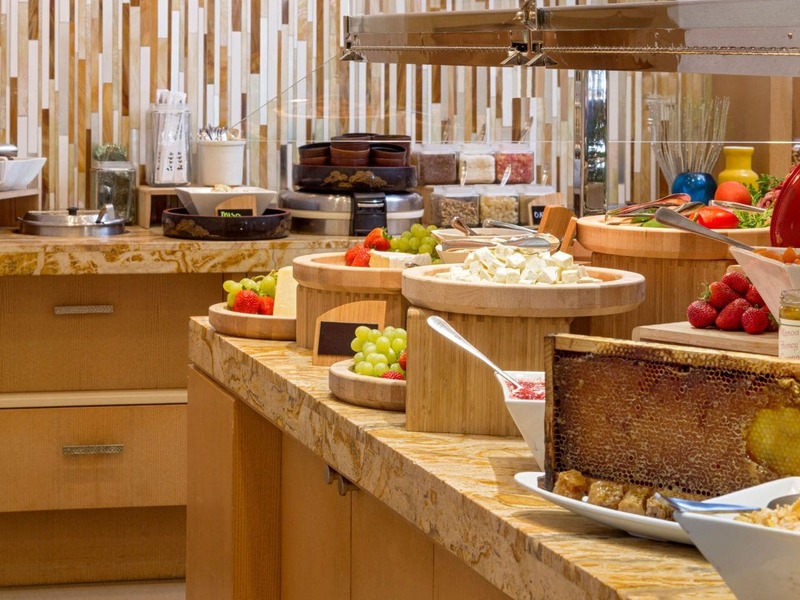 Delectable buffet selections include locally sourced foods with generous variety of daily offerings of meats, cheeses, fish, flaky pastries, perfectly ripened fruits, and fresh salads. No matter what items you choose to stack upon your plate, the moment you take your first bite while looking out upon the crystal blue waters of the Pacific you will know you are in paradise. 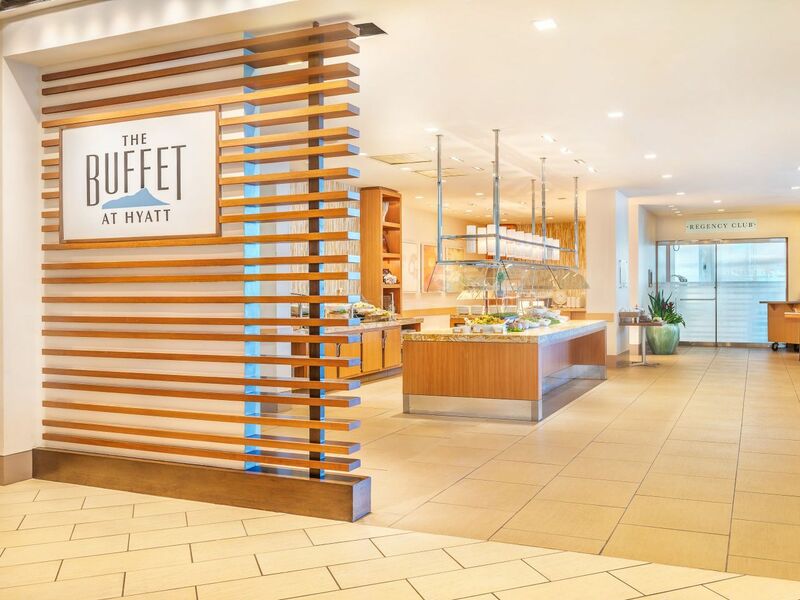 Options include: Adult Full Buffet, which includes made-to-order omelets, eggs benedict, pancakes and more; Adult Deluxe Continental Buffet which includes cold items and juice only. Select a la carte omelet options available. Children ages 6 to 12 price varies based on the child’s age and 5 and under eat for free. Early Bird Special Available Daily 5:30 a.m. to 7:00 a.m. Incredible ocean views and a selection of sustainable and organic options are available in this open-air dining overlooking Waikiki Beach. Regular menu highlights include a made-to-order poke station and sushi, Kauai shrimp, fresh local fish, kiawe smoked alaea salt crusted prime rib, southern king crab legs with Hyatt’s famous Singaporean chili crab sauce, certified angus grilled beef, traditional Hawaiian specialties, extravagant dessert selections and more, with organic, gluten free and vegetarian options throughout and an expanded seafood selection on weekends. When dining at The Buffet at Hyatt, resort attire is required. Streetwear, such as tank tops, caps, or beachwear, are not permitted. 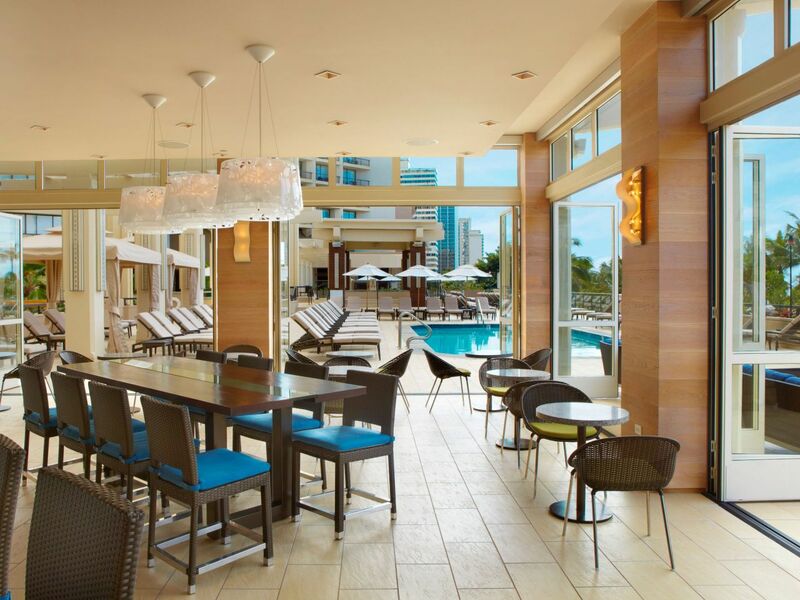 Sip and savor your way at this poolside SWIM Ocean Bar and Restaurant in Waikiki Beach overlooking the Pacific. Serving lunch and dinner local favorites and specialty beverages all days of the week. Enjoy fun filled evenings with live, local entertainment with music and creative drink specials. Weekly entertainment is from 7:30-9:30 PM, and include guitarist Dave Watanabe (Tuesday), Izzy (Thursday), Karoke Night (Friday) and Hana Hou Joe (Saturday). The Regency Club Lounge is available to our World of Hyatt Globalist and guests with club privilege guest rooms. 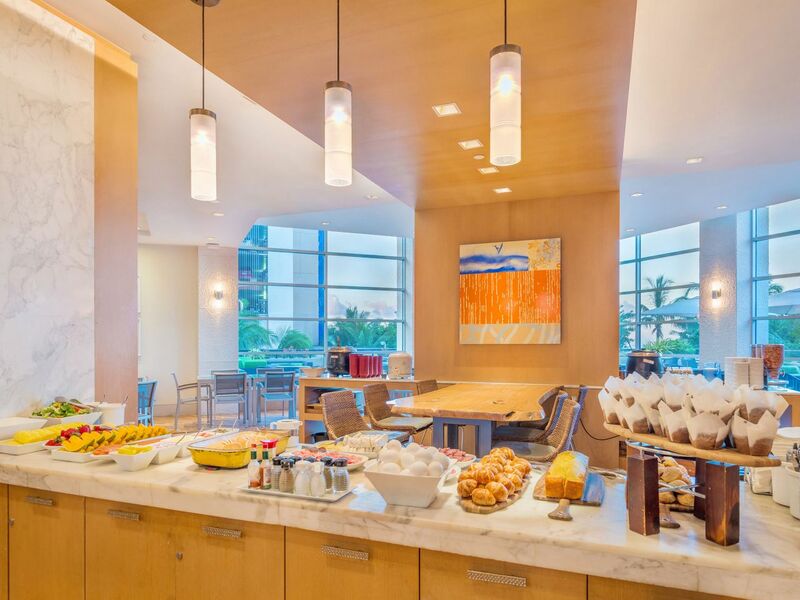 The lounge provides complimentary continental breakfast, afternoon beverages and snacks, as well as evening cocktails (for a fee). Guests also have access to club concierge and a workstation where they may check email and log onto the Internet. We offer resort restaurant delivery service to your guest room for a nominal service charge fee.